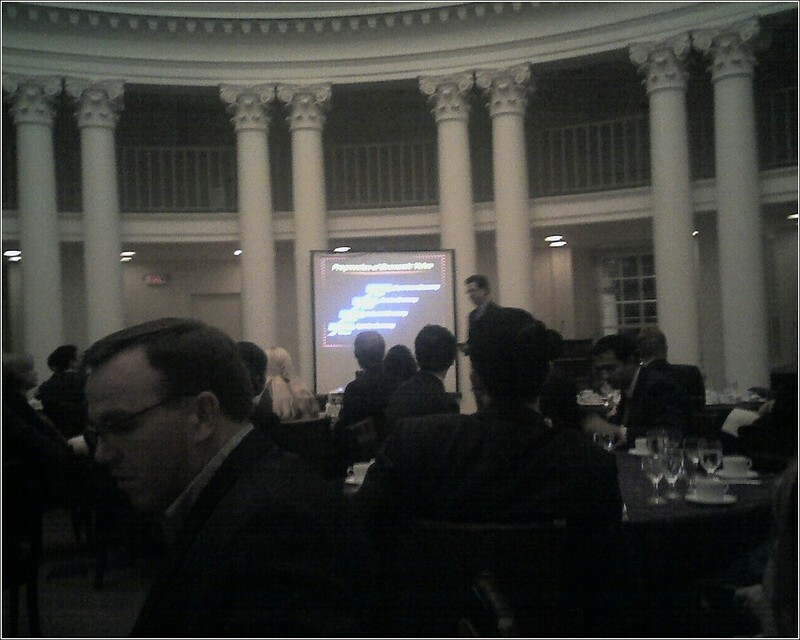 Jim Gilmore, Co-author of The Experience Economy was a judge at the Innovation Challenge. 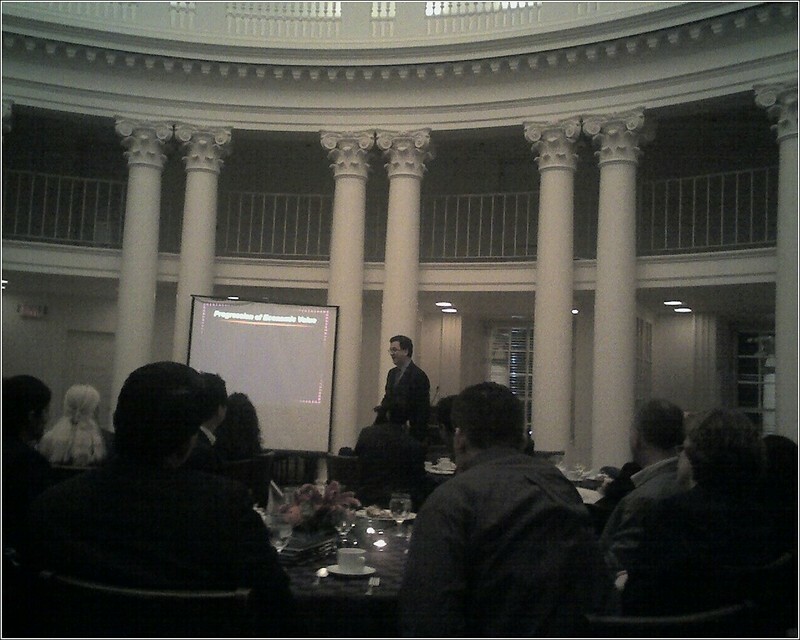 He also gave a talk at the awards dinner at the Rotunda, in the center of The University of Virginia. The Experience Economy is all about paying for the experience. People want new experiences and are willing to pay for them. There's more in the book, so you'll have to buy a copy. This book was already on my radar, but is now on my to-buy-list. A group of Adcenter students sat at the table with Jim Gilmore and Scott Slagle, Senior Brand Manager at Chrysler. The conversation was mostly about Chrysler then it shifted to football. Slagle is a cool guy. We had a chance to talk to him afterwords at the after party, he was consistently approachable and down-to-earth. 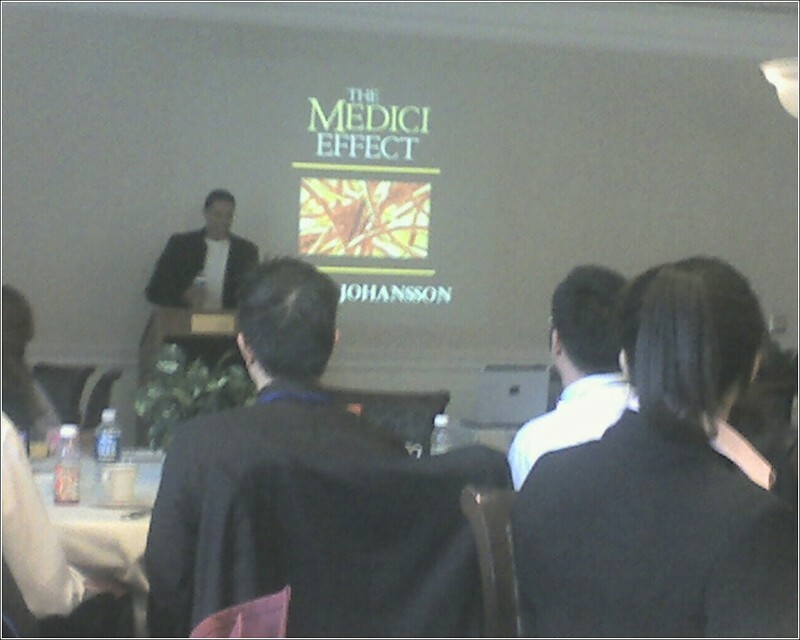 Frans Johansson, Author of The Medici Effect, gave a small lecture on Friday morning. His message was "Diversity Drives Innovation". It was interesting. The gave several examples of how two completely different things can be combined to create something completely new. 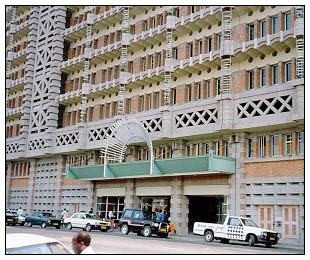 Like the Eastgate building in Zimbabwe, that used a venting concept from termite mounds to build a cooling system without air conditioning. Innovation from diversity requires a unique perspective. It was a coincidence that a few posts ago I wrote a similar post about combining technology in order to create something better (Backseat Blog'n). 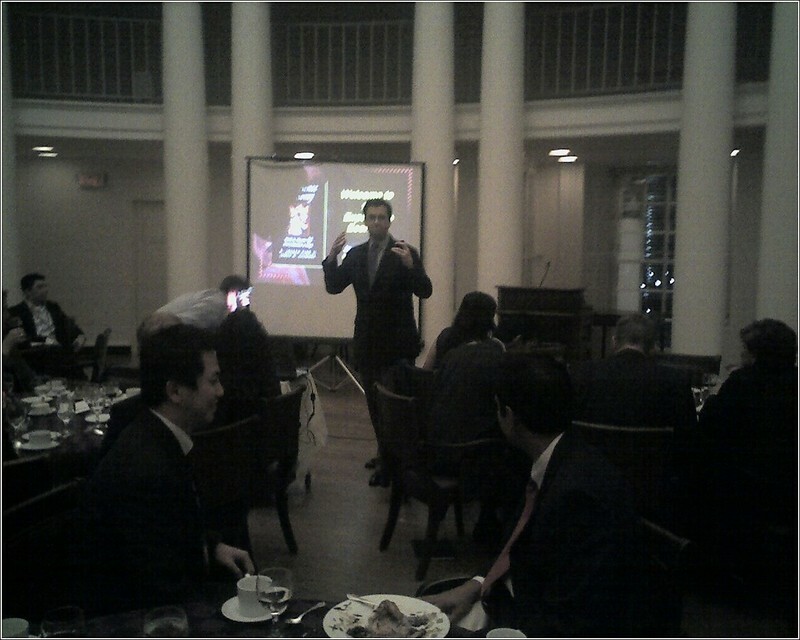 Frans is a great speaker. He was also a judge in the competition. I have not read the book yet, but I will. As soon as the semester is over.